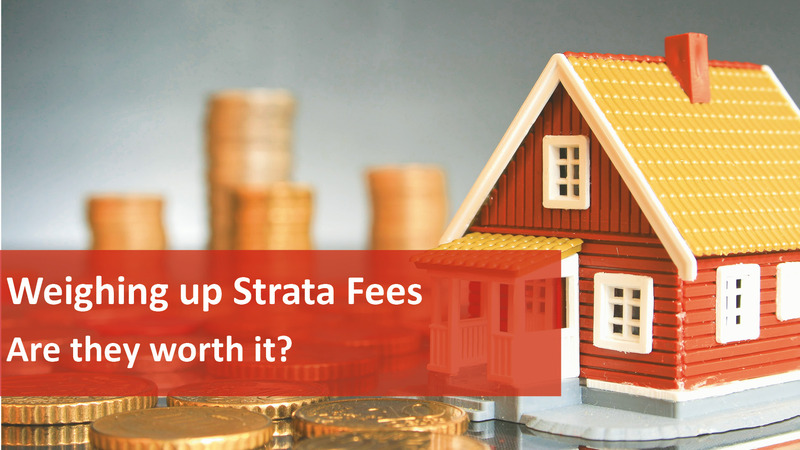 When analysing your investment property options, it is important to review the strata levies to help decide the wisest investment over the long term. Why do body corporate fees exist in the first place? Wherever there is land subdivided into flats, apartments or units and they have common property (such as gardens, driveways, stairwells, foyers etc.) a body corporate, also known as an owner’s corporation, exists. It comprises all the owners of the dwellings in the building, who are then responsible for the collective management, maintenance and insurance of common areas and facilities. Clearly the upkeep of the common areas costs money, so the expenses are divided between the dwellings and paid for by the owners. Remember, if you owned a stand alone investment property with no body corporate, you’d still have to pay outgoings such as insurance and maintenance. So the trick is to find properties with well run body corporates who don’t pay excessive fees for facilities you don’t use or need. Is the body corporate funding sufficient? While there’s no right amount to have set aside in the sinking fund for improvements or emergencies, it’s nice to know there are some funds available to cope with emergency expenses. Does the property have too many bells and whistles? The most expensive properties to upkeep are obviously those units or apartments with high-end or specialised facilities like elevators, swimming pools, saunas or spas, and gyms that require expensive and continual maintenance. Depending on the property, these luxury amenities may not add any significant value to the complex, or to your rent, so paying an ongoing fee for them is wasted cash. Is the strata committee proactive? It’s always nice if if the body corporate committee is proactive, and this is likely to occur if you’ve got a good proportion of owner occupiers in the building. A unit in a well-maintained, modernised complex has far better curbside appeal and desirability than one whose governing body has shunned improvements for lower body corp fees. If you were to own a freestanding home, it would be up to you to cover these costs on your own. When viewed in this light, it’s easy to see why some people view an apartment in a complex with a well-run body corporate as a ‘low fuss’ investment. A poorly-run strata committee, on the other hand, can create headaches that don’t quit, so as part of your pre purchase due diligence, it’s a good idea to scrutinise committee papers and meeting minutes, to help you gain a better understanding of the committee’s culture. Does this investment make financial sense for me? As more Australians chose apartment living as a convenient lifestyle more and more investors will be choosing properties with body corporates as investments. It’s often best to avoid the large apartment complexes option but well maintained “investment grade” apartments in the inner and middle ring suburbs of our capitals have consistently proved to be great investments. And don’t be put off by strata levies – remember that as an investor some elements of your body corporate fees are tax deductible. A strata property may still be the best investment for you if all the ducks line up. If the property has too many bells and whistles that are increasing your immediate out-of-pocket expenses without likelihood of long-term gain, let it pass and keep looking until you find one that ticks all the boxes for long-term growth. Investing in property can be a confusing world to get started in – for help and advice, call our experienced team at We Love Rentals®.